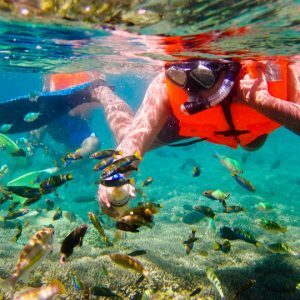 Gili Nanggu Snorkeling Tour | Lombok Fun Travel inc.
Gili Nanggu is small island located in south-west of Lombok. 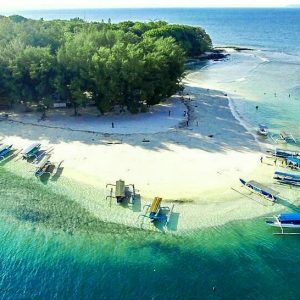 Gili Nanggu is dominated by beautiful white sandy beach and colorful fish and some garden reef surround you. You might to have a peaceful moment when you feed some fish among the reef or laying down on the beach under the sun. In this peaceful small island, motorbikes, cars and cidomo (horse carriage) are not allowed. Minimum 2 people should be in a trip. Solo traveler should paid minimum for 2 participant. For more then 5 participant USD 55 per person applied. Enjoy a total relaxing underwater activity around the islands and find its magic. Duration: Full day, starts from 08:00AM and return to the hotel at 05:00PM. 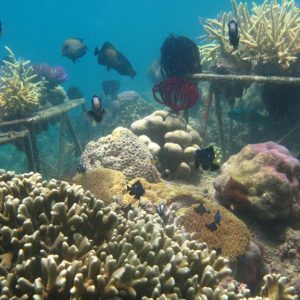 Gili Nanggu Snorkeling Tour starts by driving for about 1,5 hours to the south through the coutryside farming land and the traditional wooden boat is awaiting you there. It takes only 15minutes by boat to the first snorkeling point. There are three diffrent gilies will be visited. First Gili Nanggu for the snorkeling and Gili Kedis for having lunch break (personal expense) and Gili Sudak where you could do more photography, relaxing, sunbathing and swimming. Ideally, if you stay at Senggigi area, the tour should starts at 8am and will end at about 3-4pm. If you need further assistant, please do not hesitate to contact us. Camera underwater is available for rental with additional USD30nett including 4GB Memory Card. Set menu lunch seafood with green salad can be prepared with additional USD20nett/person.